Initially, the show scheduled for this evening was to be a ‘deFused’ continuous mix session (hence the incongruous header on the archive page), as we have done previously – usually on the occasion where we are ‘leapfrogging’ with the §Wired§ show on Globegig Radio and covering when Keith takes a week out, invariably through family commitments (as we do for each other as and when required or desired). Anyhoo, we were going into deFused territory but I was struck low by the lurgy, i.e. I copped a dose of the cold that is doing the rounds in these here parts which knocked me for six and forestalled any attempt to put a two-and-a-half hour mix together. I had attempted to program a set but didn’t have the mental capacity to do so. hence it being postponed. 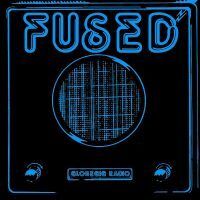 Happy New Year to all our contributors and listeners, without you Fused wouldn’t exist. Thank you.